With a bit of effort, you can turn an ordinary press release into an impactful tutorial that draws developers' eyes. Oh? Don’t believe me? I’ve got pictures to prove it. Yep. 631 million press releases. Sounds about right. In an age saturated with media and advertising, we technologically connected humans have built up internal defenses that seem to operate on an instinctive level. Whether it’s TV, the Internet, roadside billboards, or anywhere else, we pretty much shut ourselves down once we hear “marketing-speak.” The second we feel that someone is trying to convince us to buy something, our defenses automatically go up. If you have a product you want people to buy, don’t fall victim to that. Spice up your press releases. At DZone, we generally avoid using raw press releases. Anyone can look up the features released in version 1.6.2 of their favorite tool, and the only exception to this rule might be for major software version releases. But even then, it’s hard to get excited about it. The story is more about the fact that the software is out, not necessarily its features. So, flip it on its head. Make the features into the story. Plugin support for [your favorite IDE]. Syntax highlighting for Swift, Ruby, and C#. That’s okay for getting the word out, but it leaves some room for improvement. Want to show off your IDE’s coolest new features? Include a screenshot. Even better, let’s say it’s something you could show in a code block. Also, a snippet works well, too. In case you’re wondering how to use snippets, code blocks, and other tools on our site, check out our guide on how to format articles for DZone. It’s really that simple. If you want people to look at your product, service, or tool, show it in action. Of course, easier said than done, right? Fortunately, there are several companies out there who, in my opinion, do product release announcements extremely well. I’m going to briefly cover two of them in the hopes that they’ll inspire you (or your marketing team). 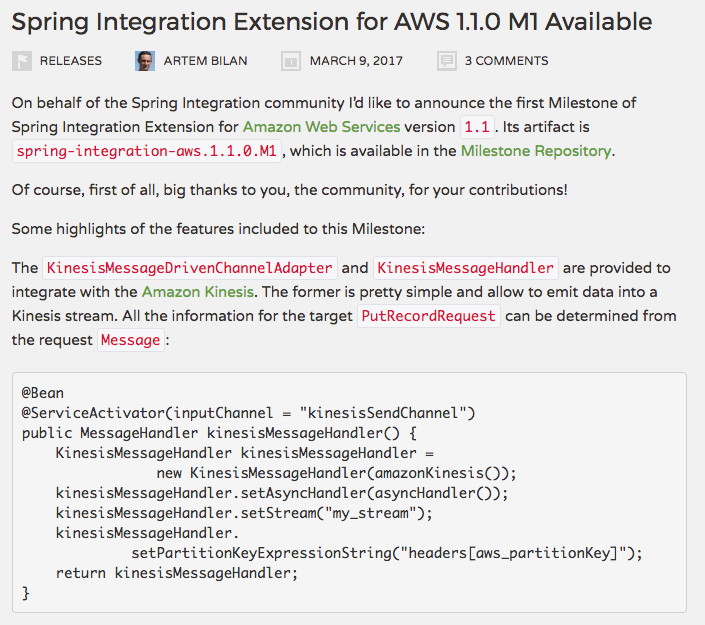 I cannot stress what a phenomenal job the Spring team does in setting up its releases. They don’t just list the features in a few bullet points, they actually show them in action. And they don’t just do it for major releases, either. Almost every single article in their release section, at least in the more recent months, has detailed explanations of how to use their newest tools, services, annotations, etc. 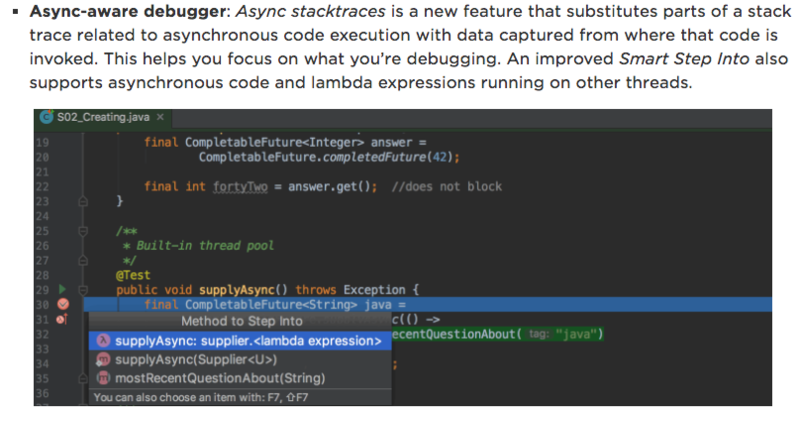 Now, you can’t tell from this stillshot, but that’s an animated GIF showcasing how they’ve improved the Smart Step Into process to incorporate asynchronous code and lambda expressions. Press releases are an essential component for individuals and companies to try to maximize their coverage, but they’re not right for every venue. As I mentioned earlier, we at DZone generally don’t publish raw press releases. But with a bit of extra effort, you can turn an ordinary piece of marketing copy into a solid tutorial that not only informs your readers of new capabilities but teaches them how to use your tools. Turn your feature lists into tutorials where you showcase highlights. Use screenshots of your work in action. Show the necessary or relevant code in code blocks or as snippets. Most importantly, take every opportunity to teach. 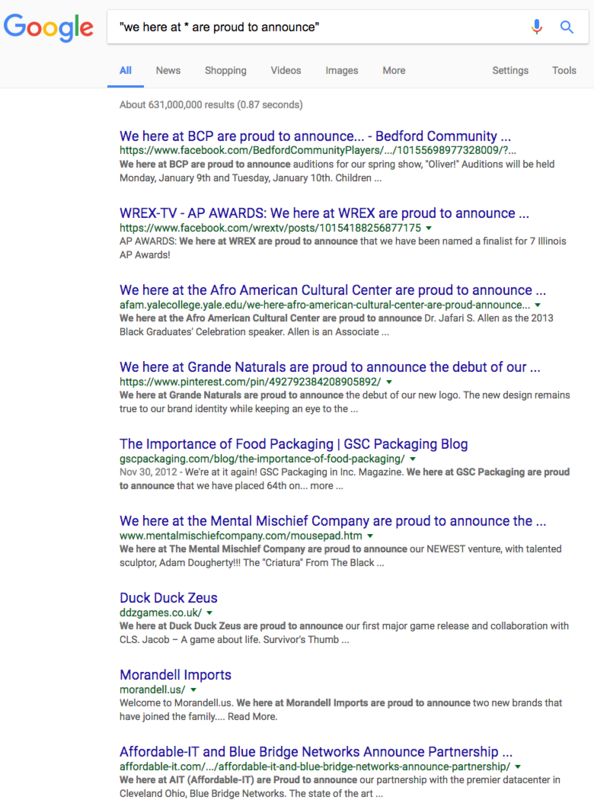 What Makes A Great Syndicated Content Piece?